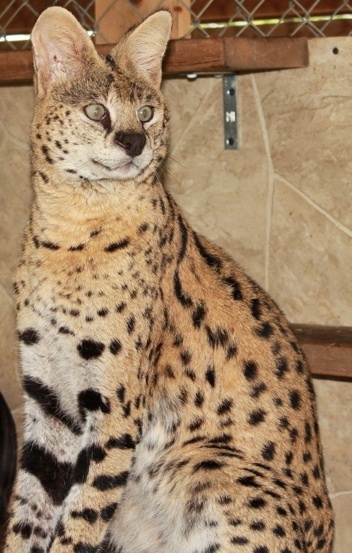 Ace has proven to be a rare Serval, in that he will breed with all of my queens, even the ones he was not raised with as a kitten. 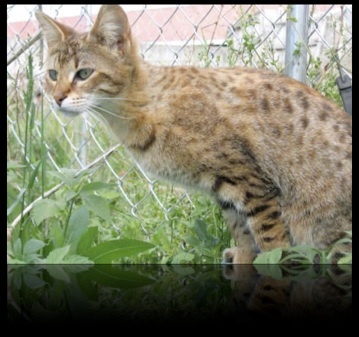 He is truly a wild cat (he is not a pet) and has formed a great foundation cat for my F1 Savannah program. Orion championed at his first adult show. He is the son of RW QGC Koppiekatz Custom Image, The grandson of SGC Calcatta's Custom Made, and full brother to RW SGC Koppiekatz Hero. Knight is the newest male in my breeding program. 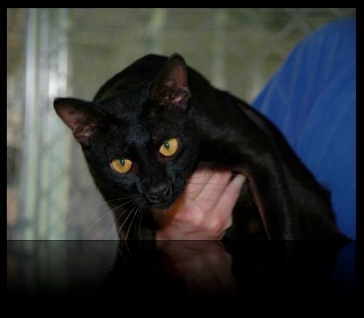 He’s a rare melanistic savannah. 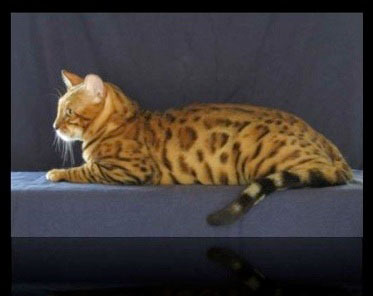 His friendly personality and striking color has proven to be a positive asset in producing high quality savannah cats. Magenta was born and raised here at Cutting Edge Cats. Her mother is Tisa and she has inherited all the great traits desired in an F2 Savannah. She’s long and tall like the Serval cat and she’s also retained the solid boning so desired in my Savannah program. 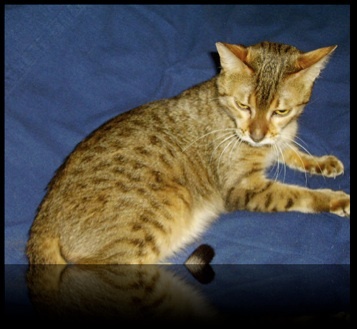 Jazz is a beautiful Egyptian Mau that I’ve paired with my African Serval Cat, Ace. She’s producing excellent offspring with both great color, spots, and structure.